What do you call an all-natural cheeseburger topped with fried pickles, roasted jalapeños, fried onions, and smoky BBQ sauce? The Mama Burger; just one of the delicious new items added to Tasty Burger's menu today. Several new items announced today join the neighborhood burger joint’s menu full-time at its first DC location in Atlantic Plumbing in Shaw. Known for its use of all-natural beef, eco-friendly packaging, gluten-free, vegetarian and vegan options, and slew of condiments available on Lazy Susans throughout the restaurant, Tasty Burger heads into summer with several new-to-DC menu items that have big followings in Boston, where the growing East Coast burger chain was founded in 2010. All-natural cheeseburger, fried pickles, roasted jalapeños, fried onions, smoky BBQ sauce. Baby spinach, kale blend, grape tomatoes, cucumber, shredded carrot with choice of dressing: balsamic, lite Italian, blue cheese, ranch, honey mustard. Hamburger, Hot Dog, Choice of Drink. Two Hot Dogs, French Fries or Tater Tots, Choice of Drink. 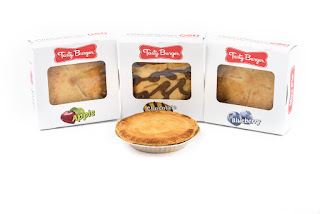 Adorable four-inch snack pies from Table Talk Pies, a family-owned baking company that has made pies from scratch for almost 100 years. 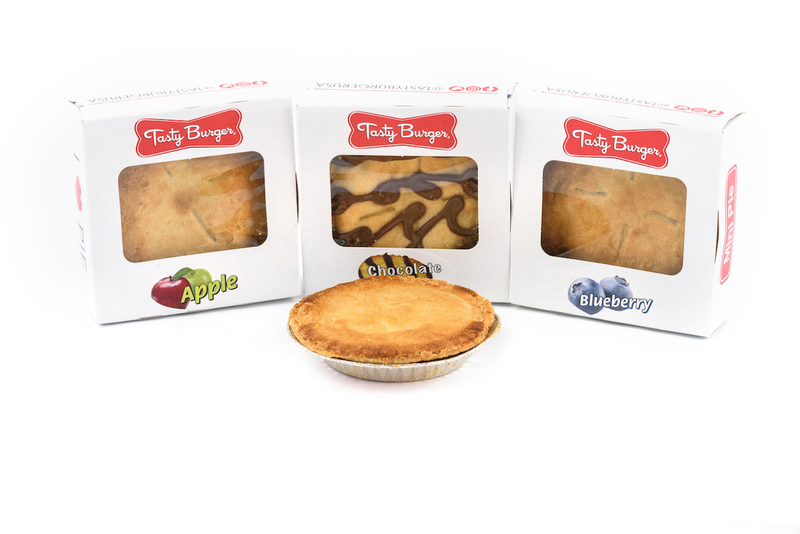 Available flavors: Apple, Blueberry, Chocolate Éclair. Additionally, Tasty Burger expands its value-driven Make it a Combo option to provide more choices to its customers. For an additional $3.50 added to the price of any sandwich, Tasty Burger customers can choose one of four sides (Tater Tots, French Fries, Onion Rings, or a Side Salad) and a Drink. Tasty Burger (2108 8th Street, NW, Washington, DC 20001) is open 11 AM - 1 AM, Sunday-Thursday, and 11 AM - 2 AM Friday + Saturday. With six locations on the East Coast, from Boston to Washington, DC, Tasty Burger is a modern American neighborhood burger restaurant. Outstanding fresh ingredients are cooked to order in an incredibly fun, laid back atmosphere that has made Tasty an instant classic. The burgers are made with all-natural hormone & antibiotic-free beef, alongside shakes, rings, fries, beer & wine; and surrounded by local artists’ work, free pool & foosball, and a digital jukebox with great music. Tasty Burger is the Official Burger of the Boston Red Sox, as well as the Official Burger of the Boston Calling Music Festival.